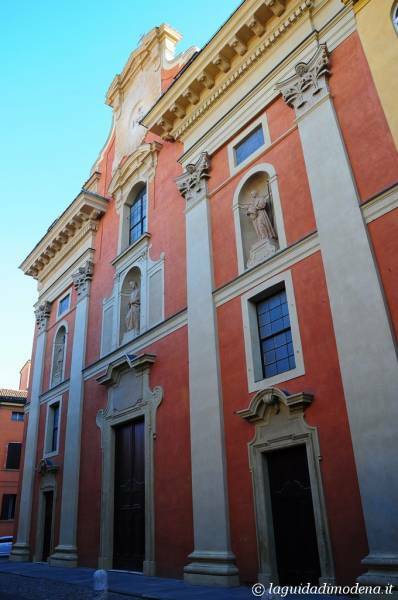 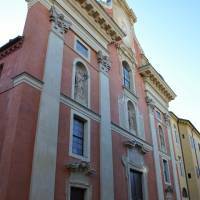 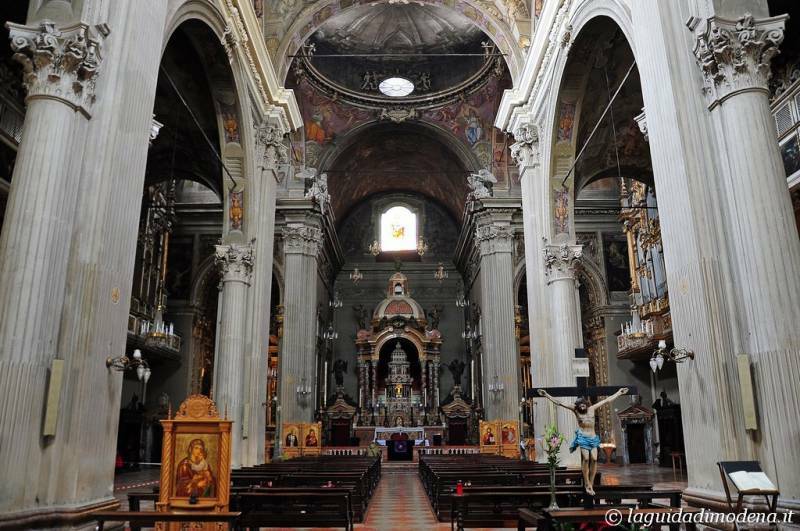 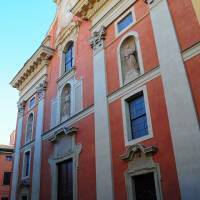 One of the most imposing churches in Modena, San Bartolomeo was built for the Saint Ignatius of Loyola’s Jesuits thanks to the will of the Cardinal Alessandro d’Este in the years 1607-14. 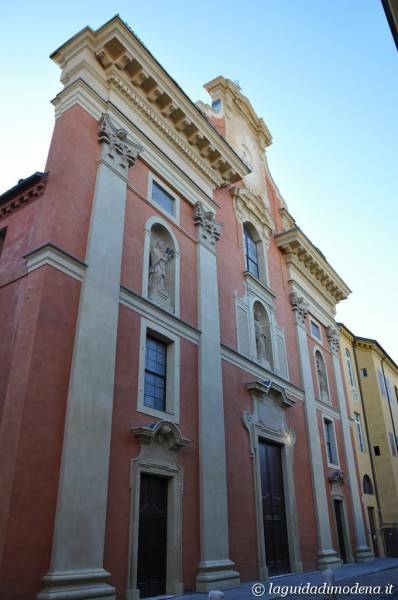 The architect was Giorgio Soldati. 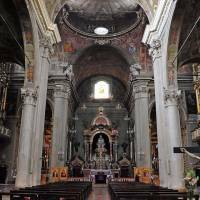 The monumental facade was finished only in 1727 by Andrea Galluzzi, who was first of all a stage designer. 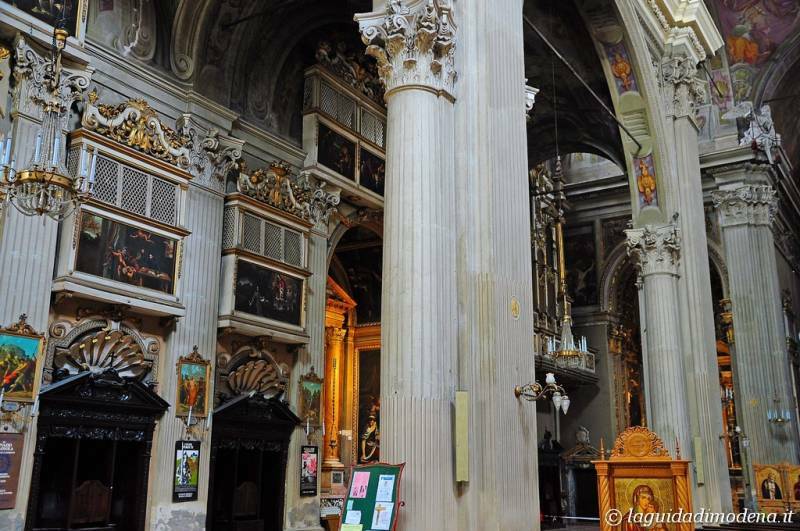 The statues represent Stanislao Kostka and Luigi Gonzaga, canonized in those years, Saint Bartolomew and Christ. 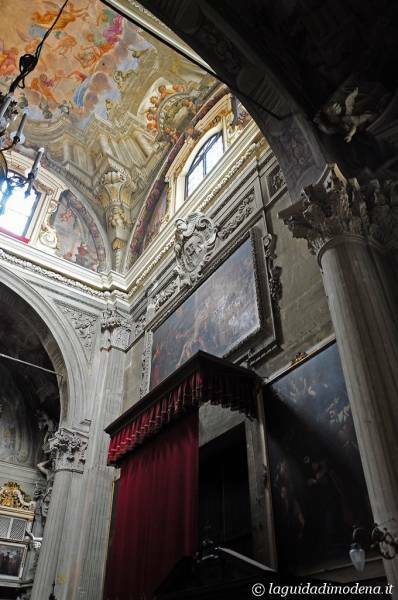 The sumptuous interior, entirely carried out in the XVII century, contains important works of art. 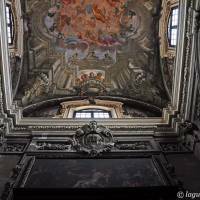 Near to the portal, stuccoes by Antonio Traeri and Saint Bartholomew’s Martyrdom by Girolamo Negri (1694). 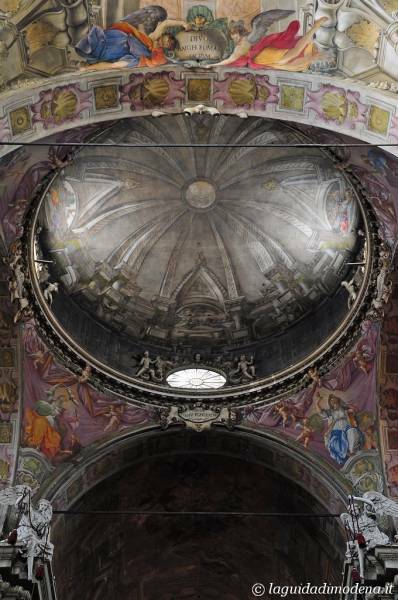 A small ittle black disc on the floor indicates the point where the view of the vault is the best. 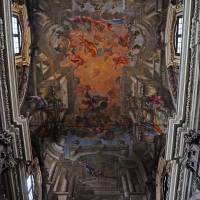 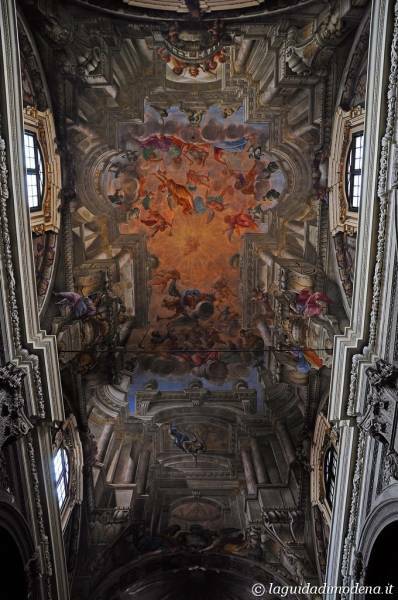 There are magnificent frescoes, by Giuseppe Barbieri – Andrea Pozzo’s student – representing Apoteosi dell’Immagine Divina, di Sant’Ignazio, San Francesco Xavier e San Bartolomeo. 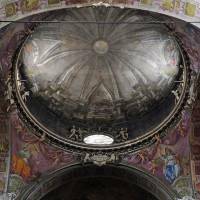 On the pendentives of the dome are the cardinal virtues. 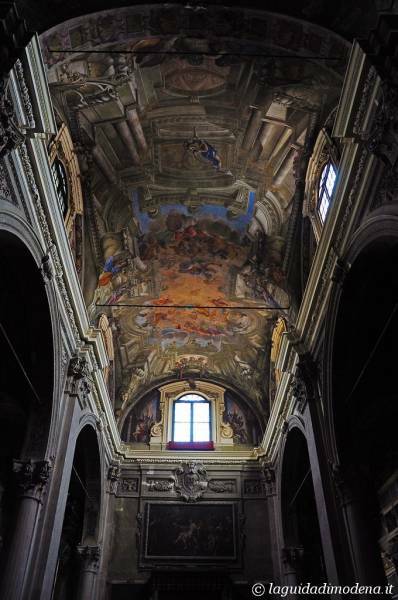 Above the altar, the dome is only painted in a dark colour, as it has never been finished. 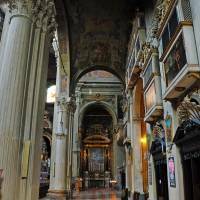 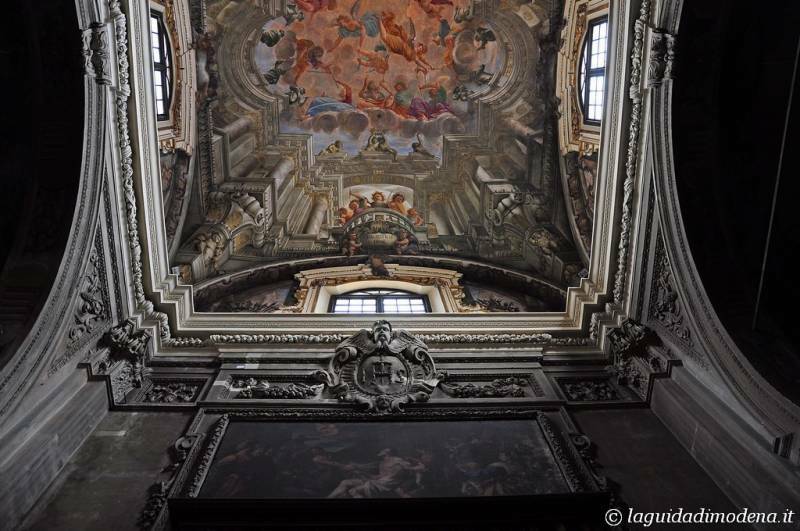 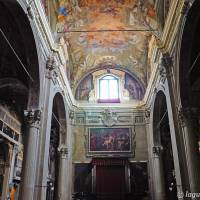 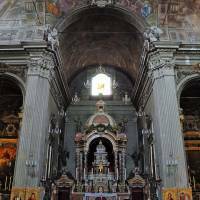 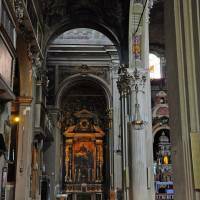 The paintings, Pozzo’s influence, the Jesuits and the false dome make the church, even in smaller dimensions, very much like the well known church of Saint Ignatius in Rome. 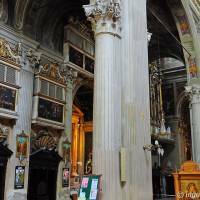 Along the aisles, wonderful confessional boxes of the XVII century in dark wood, surmonted by stucco shells. 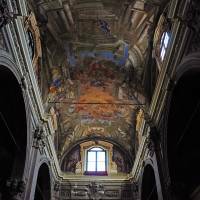 In the lower choirs, paintings by Ludovico Lana with Saints stories, in the higher ones, paintings by Giuseppe Romani, realized at the end of the XVII century. 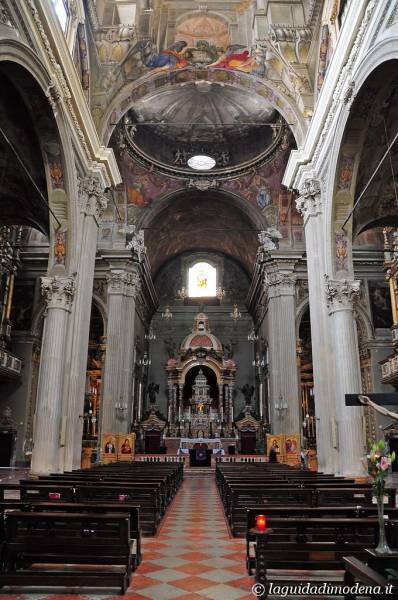 There are also many other chapels. 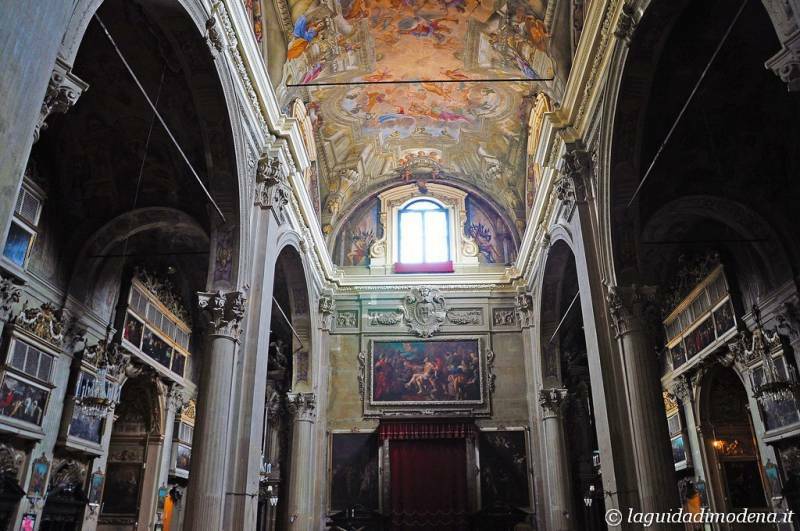 In the first one on the left, Saint Joseph’s Death by Giovanni Boulanger; in the second one, Annunciation by Jacopo Ligozzi and works by Lorenzo Garbieri; in the smaller third one, a reproduction of the cave in Lourdes. 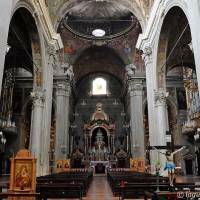 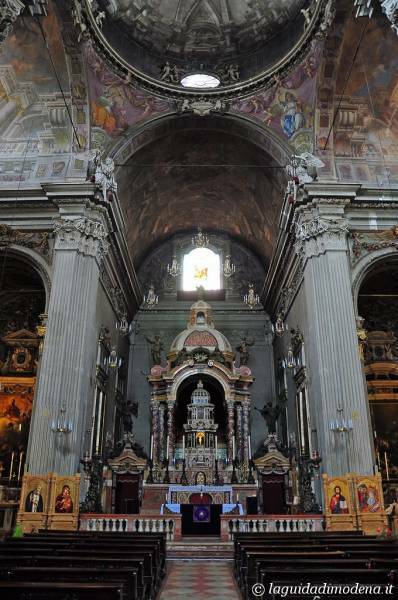 On the left of the presbytery, in Saint Ignatius’ chapel, pictures by Giacinto Brandi and Giovanni Maria Viani. 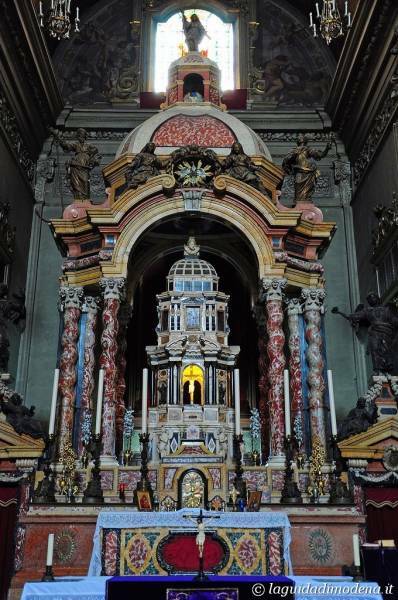 The high altar presents a monumental ciborium crafted from valuable marble and bronze in the first half of the XVII century. 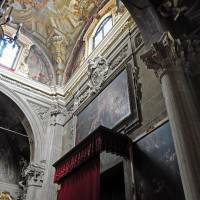 On the walls, paintings by Giuseppe Crespi, Sante Peranda, Lorenzo Garbieri and Antonio Pomarancio. 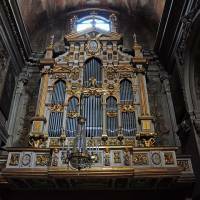 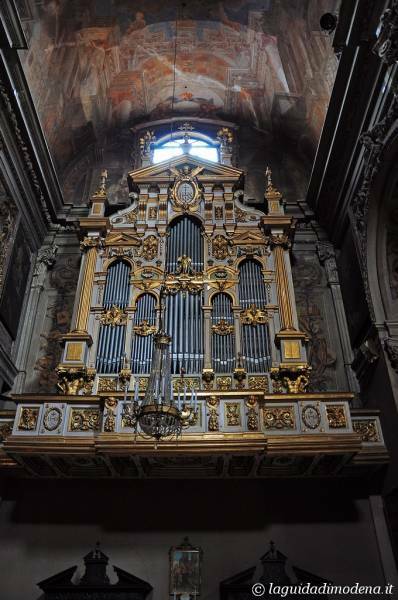 The two organs in the transept are noteworthy. 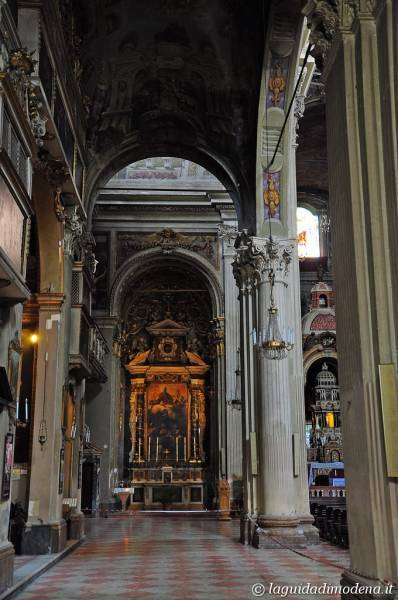 Under the presbytery lies the grave of the Roman noble cardinal Carlo Odescalchi, vicar in Rome under Pope Gregory XVI (1834-37. 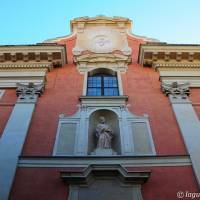 His canonization suit is still continuing). 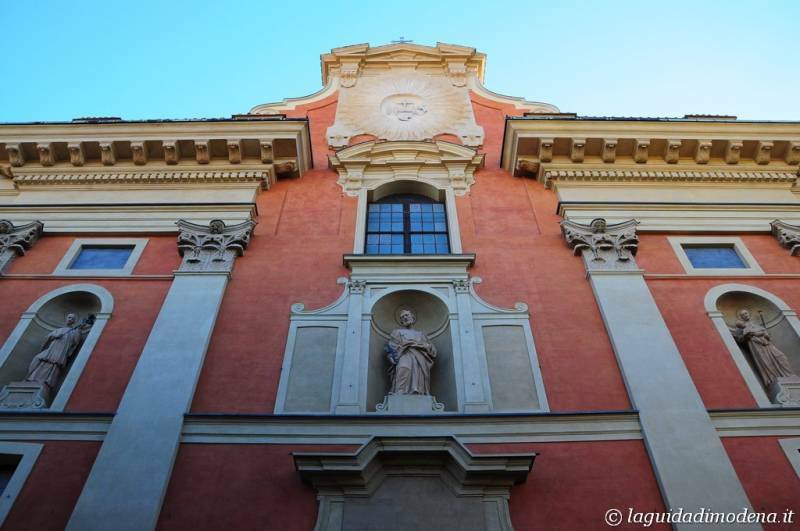 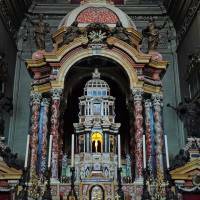 On the right of the presbytery, the San Francesco Xavier chapel contains paintings by Francesco del Cairo and Jacopo Consetti. 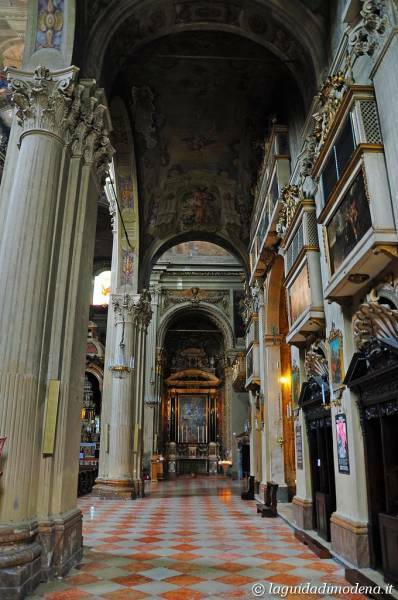 Going back to the entrance, along the right aisle, the chapels are dedicated to Madonna del Rosario, Holy Heart, Three Holy Pictures and Saint Anthony of Padua.